Grown in Canada naturally under ideal temperate conditions, Martin little friends™ Timothy Grass Hay Mini-Bale is the perfect choice for your small pet. Little friends™ Timothy Grass Hay Mini-Bale is an all-natural product containing no pesticides or herbicides. It contains no artificial colours, flavourings, additives or preservatives. It is harvested at its peak of growth during optimal weather conditions at the prime time of day. Martin little friends™ Timothy Grass Hay Mini-Bale is essential for the well-being of your pet and provides them with rich, long fiber necessary for a healthy digestive system and strong teeth. Hay should make up the largest percentage of their diet and should always be available to them to eat and forage. Timothy Grass Hay Mini-Bale is an all-natural product containing no pesticides or herbicides. It contains no artificial colours, flavourings, additives or preservatives. It is harvested at its peak of growth during optimal weather conditions at the prime time of day. 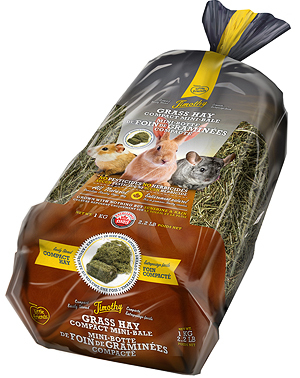 Martin little friends™ Timothy Grass Hay Mini- Bale is hand-selected and hand-packed to ensure the highest quality product for your pet. Offer clean, dry hay freely for consumption, nesting and foraging. Ensure that your pet always has access to fresh, clean hay. Remove any soiled or wet hay promptly and replace. Store in a cool dry place. Avoid exposure to direct sunlight.